The ever growing need to improve quality, improve efficiency and meet more stringent environmental regulations, emphasizes the importance of improved process control. Throughout the industry, pulp and paper mills are making large investments in state-of-the-art control systems in an effort to attain the level of control performance required for success in this highly competitive global market. 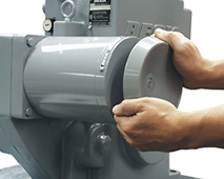 Beck’s unique ability to provide quick, accurate and consistent positioning of final control elements allows mills to fully utilize the power of their control systems. 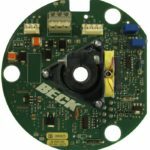 This ability allows Beck actuators to significantly decrease process variability, improve product quality and reduce operating costs. 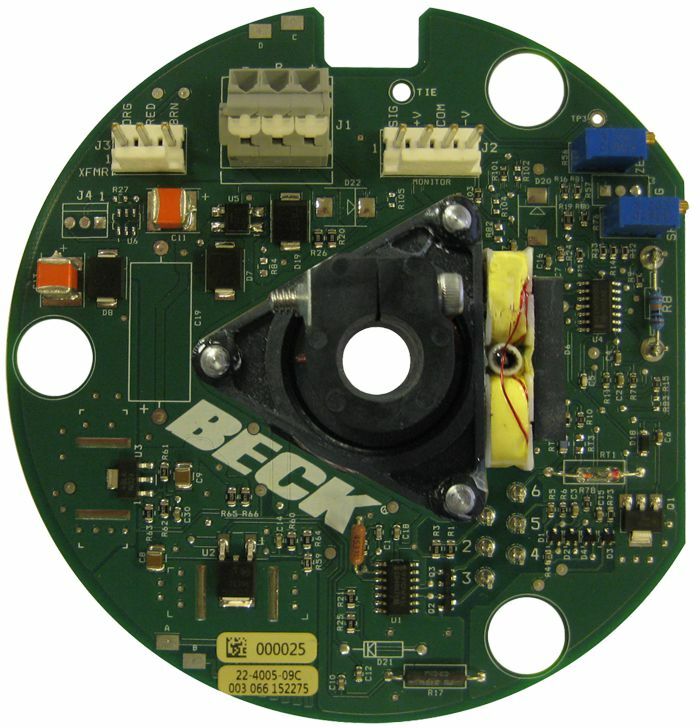 The control benefits provided by Beck electric actuators can be attributed to the unique design. 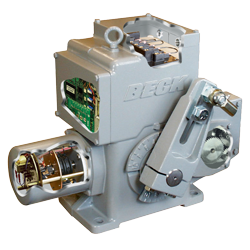 Beck actuators feature accurate, durable positioning electronics, along with a no-burnout motor and efficient spur gearing. This design enables the Beck actuator to start and stop instantly–virtually eliminating dead time and overshoot regardless of load or process conditions. Figure 2A: In this stock-to-knotters flow control valve application, the pneumatically actuated valve exhibited a 2% limit cycle. The resulting cycle in the stock flow upset the knotter throughput, often causing plugging to occur. The cycle also destabilized upstream consistency control, which further contributed to knotter plugging. 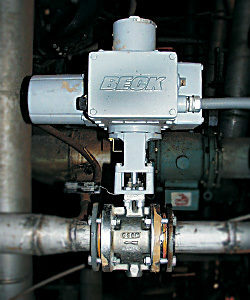 Figure 2B: A Beck control actuator, installed on the same valve, was able to closely track the controller output. This not only enabled the mill to tune the loop more appropriately, but aided in redesigning the control strategy to be more effective. Part of the redesign included eliminating the stock flow loop and converting to a pressure control valve. Unlike the pneumatic actuator, the Beck actuator provides the resolution, consistency and instantaneous response necessitated by the fast dynamics of pressure control. Figure 2C: Even after eight years of difficult service, the Beck actuator performance is unchanged. 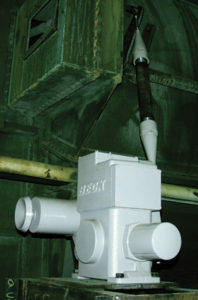 Figure 3A: In a thick stock dilution valve at another mill, this relatively new, pneumatically actuated valve performed adequately over much of its operating range. However, sticking occurred at approximately the 60% open position. This caused overshoot that affected the stock consistency. This subtle sticking problem is common and often develops quickly in new valves. The mill installed a Beck actuator to eliminate the problem. The instantaneous, full-torque starting capability of the Beck control actuator ensures that if valve stiction is present, it will not affect positioning performance. Figure 3B: This curve shows the negative impact the subtle stick problem (see Figure 3A) had on stock consistency. Figure 3C: By installing a Beck electric actuator, the negative impact of the sticking problem was completely eliminated. In addition, the consistency meter was moved closer to the control valve reducing dead time. This, combined with the Beck actuator, yielded an overall improvement in consistency control. Pneumatic actuators are subject to inherent characteristics that limit and disrupt control loop performance. Many recent developments in this technology center on advanced diagnostics to help detect and predict these problems, but the compressibility of air remains the major problem source. As such, the overall performance of pneumatic actuators varies as a function of frictional and dynamic load, process conditions, valve condition, and the performance of actuator accessories like the I/P transducers, positioners, and boosters. This results in inconsistent and often wide deadbands, poor resolution, sluggish response, and overshoot. Even when pneumatic actuators perform well when new, these problems become increasingly prevalent and unpredictable over time. Heat, humidity, contamination, and air quality all serve to increase performance degradation and inconsistency, often making excessive maintenance necessary to maintain acceptable control. 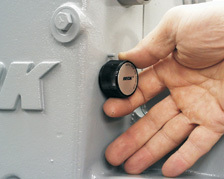 “Stick and slip” is one of the most common pneumatic actuator problems. This condition occurs when an actuator builds pressure to overcome a static load (usually frictional, but not always). As the pressure builds, the final control element does not respond, and therefore the controller continues to increase the demand. When the air pressure is high enough to initiate movement, the actuator takes off and overshoots the correct position. This can result in “limit cycling”–causing the controller to continuously cycle. Figure 1: This data is from a consistency control loop in a North American mill. It demonstrates the problem of stick and slip. As shown, a 2% change in demand was required to initiate response. In this case, the result was 7 seconds of dead time. 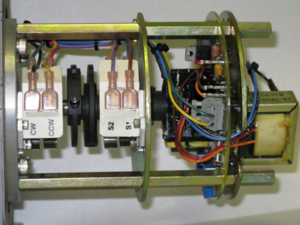 Typical electric actuators have problems of their own. Many designs incorporate high-speed induction motors that do not stop instantaneously and require a limited duty cycle to prevent overheating. 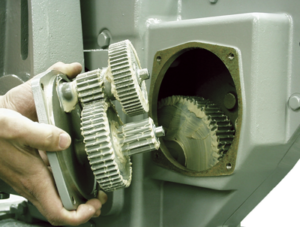 In addition, most utilize inefficient worm gears, which can wear quickly, particularly within actuators installed in active loops. 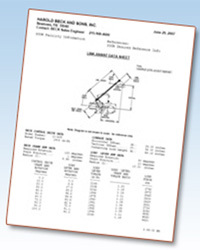 These problems dictate the use of wide deadbands, which can severely limit the resolution of a final control element. 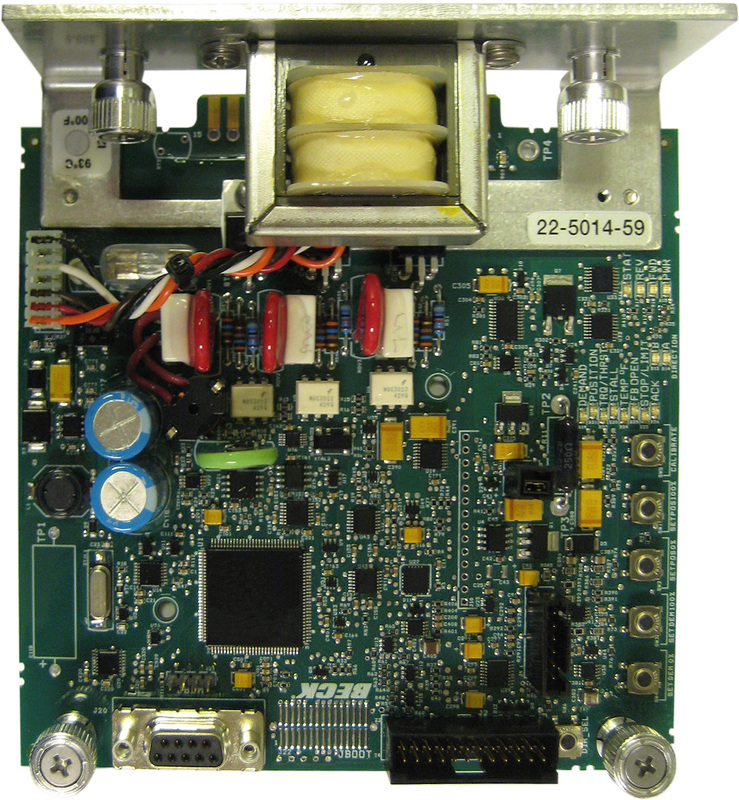 Another significant concern is the overall reliability of typical electric actuators. 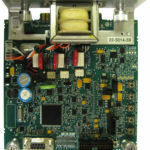 The electronics often cannot withstand harsh environmental conditions and cause costly control downtime. 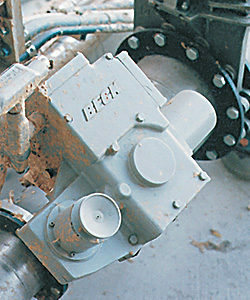 Beck control actuators are designed to eliminate the problems of both pneumatic and conventional electric actuators. 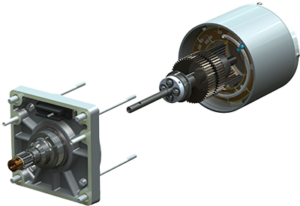 Beck actuators provide consistent and precise performance despite the effect of changing process conditions–without sticking, slipping or degrading over time. 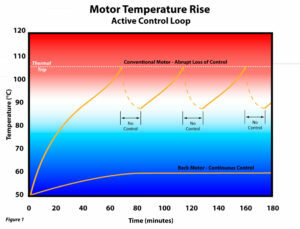 Control loop performance is only as good as the performance of the control valve. It is a well-documented fact that many industrial control loops function poorly as a result of valve actuation problems. Beck control actuators eliminate the problems caused by both pneumatic and typical electric actuators, and maximize the potential of control systems.